The EB-5 Visa program is for foreign investors. It offers several benefits that make this program very attractive. 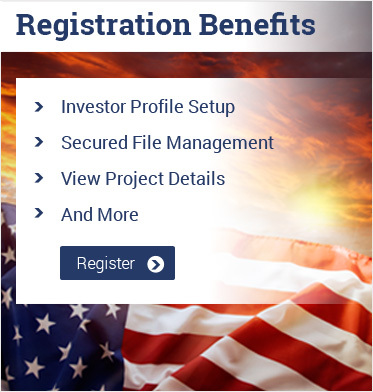 Immigrant investors can fast track their US permanent residency under this investor program. The foreign investor and immediate family comprising of spouse and unmarried children under 21 years are eligible to get Green Cards. Once the foreign investors invests capital and follows the criteria laid down by the EB-5 visa program, the investors and their family are eligible for U.S. citizenship through naturalization after 5 years of the investment. This takes away both the waiting time and the quota system that many immigration programs are renowned for. Once the investor and family acquire U.S. citizenship, they are entitled to all the rights like any other citizen of the United States. Other than ensuring the capital investment is from legal and lawful sources, the EB-5 visa program does not put any other qualifying conditions. For example, the investor and family members are not required to know fluent English or have minimum education requirements. If a foreigner wants to live and work in the United States, the current immigration rules demand the foreigner has either an employer or family member as a sponsor. However, there is no such requirement under the EB-5 visa program. Moreover, the investor can become a sponsor for other family members. When the capital is invested, the immigrant investor and family members have the freedom to live in any part of the United States. The children can attend U.S. schools and colleges and get a discount on the tuition fees in colleges and universities. The EB-5 visa also ensures the investor and family members can travel out of the United States for leisure or business without the need for a visa to re-enter the country. With a Green Card, it does away the need to renew the visa periodically or even qualify again for the visa status. When investing through regional centers, an investor does not have to worry about managing the investment and business. This allows the investor an opportunity to pursue other business interests. If the foreign investor wants to invest capital as an individual, the minimum capital requirement is $1 million. However, if the investment is conducted through an approved regional center in a Targeted Employment Area (TEA), the minimum capital requirement is halved to just $500,000.